Many of us love a good beer and it helps that there are so many options available on the market. However, sometimes some breweries take things a little too far. 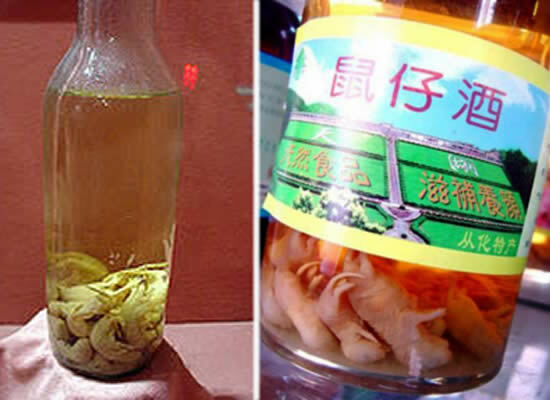 Check out the 10 most bizarre drinks in the world. Kwispelbier is a brand that specialises in beer for our loveable dogs. 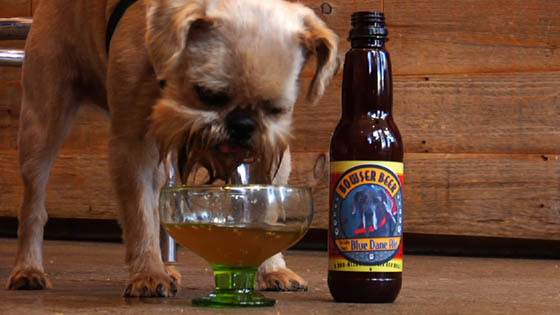 Nope, you didn’t read wrong, it does say beer for dogs. The brand is made from a special brew of beef extract and malt, and is sure to wet your dog’s whistle. So now man and his best friend can now sit down with a few cold ones under the sun or when watching TV. Don’t worry, though; your pet can’t get drunk and start crying about the fact he or she is in love with the dog across the road, as it is non-alcoholic. You probably won’t find anything weirder than baby mouse wine in our list. It’s thought that one or two glasses of this would get you absolutely blotto. Sadly, these baby mice, which are thought to be between 2 to 3 days old, are drowned in vats full of rice wine. We don’t care how good this wine tastes, we won’t be having any! Want a two course meal plus a drink? 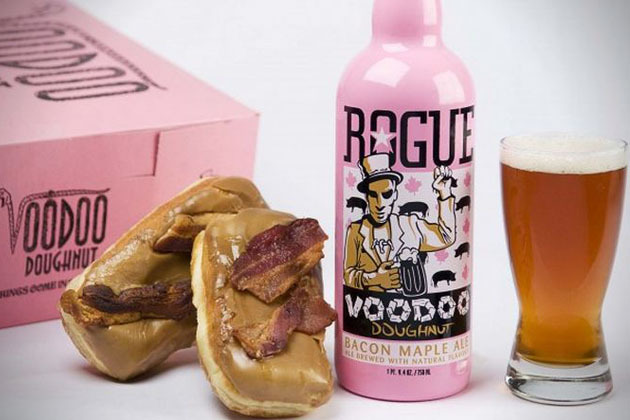 Try Rogue Voodoo Doughnut Bacon Maple Ale – it’s quite a mouthful to say and to drink, as it’s filled with the ingredients it offers in its name (apart from the rogue voodoo bit). While you wouldn’t ordinarily mix these flavours together, you have to admit, you’re dying to taste it. Remember when we said that you probably wouldn’t find anything as weird as baby mouse win on the list? Yeah, turns out we might have told a bit of a fib. 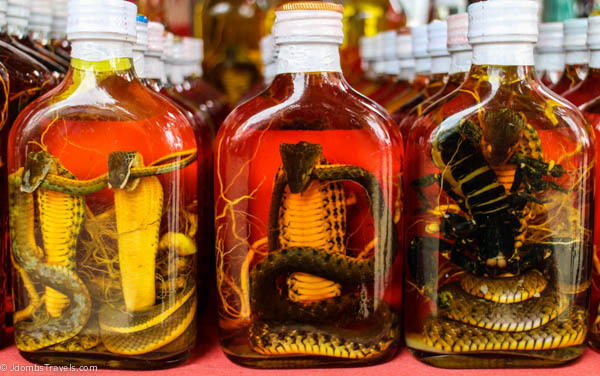 Snake whiskey contains whole snakes, snake venom and flavourings of juniper berries, ginseng and chilli pepper. It’s a common drink in China and highly thought of for its many health benefits, including aiding incompetence and hair loss. Chicha looks like a relatively normal wine, doesn’t it? It’s not. The maize is grinded and then chewed to moisturise. That’s right, chewed! 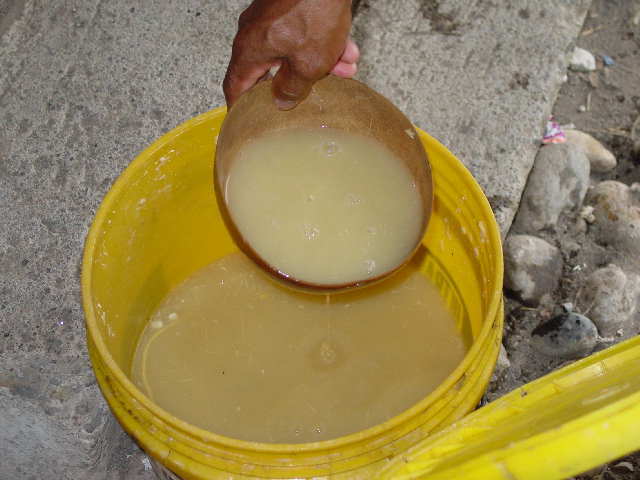 Once the human saliva has broken down the starch, each ball of chewed maize is put into a large clay vat with warm water; it is then left to cement for several days. Like beer? Like pizza? 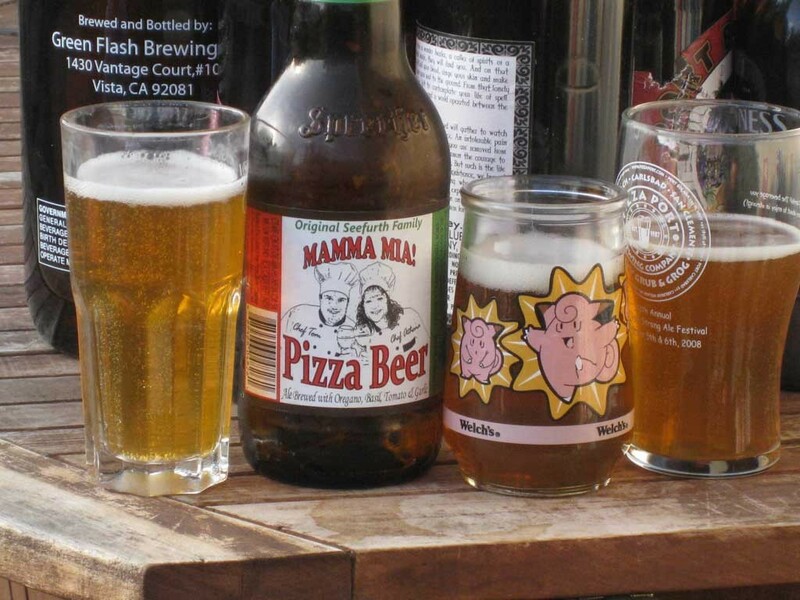 Well you’ll love pizza beer! It’s brewed with basil, garlic, tomato, oregano and, obviously, a pizza crust. Yeah, on second thoughts, pass us a Bud. 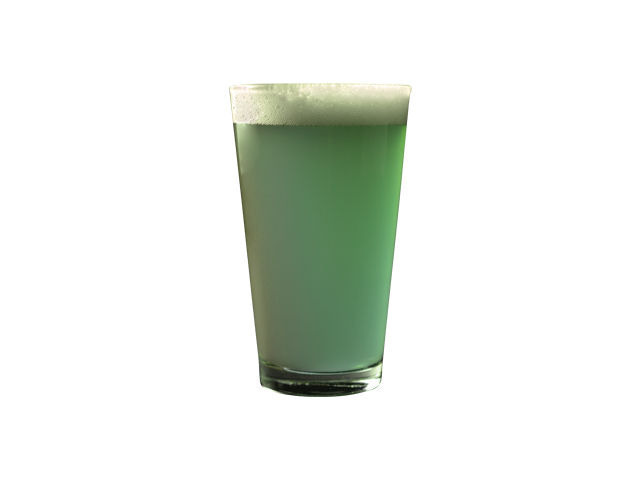 Spirulina Wit beer is not only completely the wrong colour, but it’s made from algae! Who comes up with these ideas? If someone gave us a drink with a spider in it we’d probably drop dead on the spot or think it had fallen in accidentally. However, for some reason or another, tarantula brandy is quite popular in Cambodia. This rice liquor is flavoured with dead tarantulas – because who doesn’t like the taste of a spider’s corpse? Seagull wine is created by stuffing a dead seagull in a bottle of water and leaving it under the sun for a bit. The wine reportedly can get you very drunk, yet I can’t see our local pubs selling it any time soon. 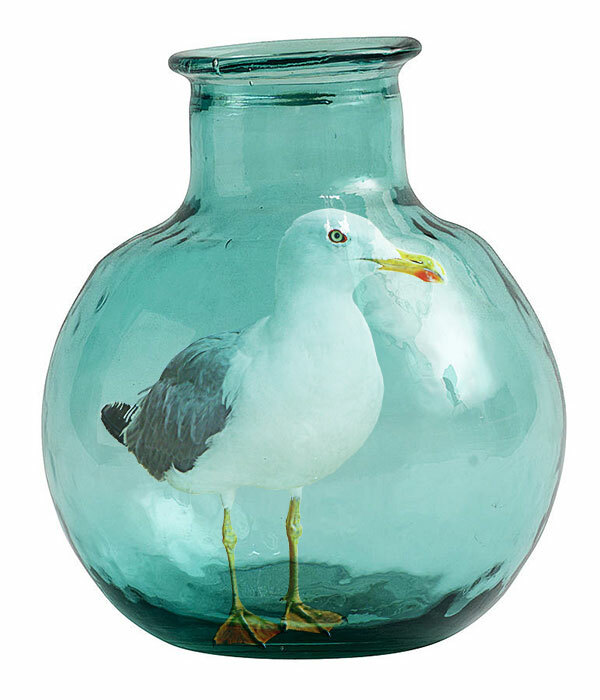 Unfortunately – or fortunately, depending on what you like – we couldn’t find a snap or it so we went for this image of a seagull in a bottle. 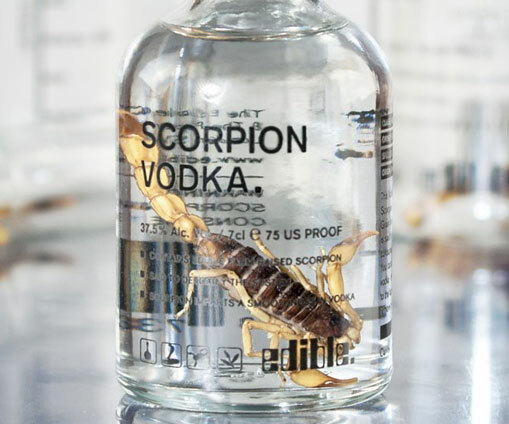 Believe it or not, Scorpion Vodka is produced and bottled in England and is available for sale across the UK. Each bottle contains one farm raised scorpion and is supposed to provide a person with “the ultimate shot”. Ever tried any of these drinks? Let us know what they’re like. You can read about some weird foods from across the world by taking a look at the 10 Scariest Foods You Won’t Want to Eat. 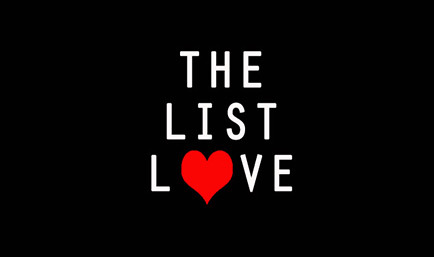 Follow The List Love on Facebook and Twitter for more disgusting, and nice, top 10 lists.